ShivWorks | Armed Missouri, Inc. Since we fully expect this course to fill very quickly, the full payment of $450.00 for this course is required in advance. The additional $35.00 range fee can be paid in advance or on the day of the class. No refunds will be issued for any cancellations unless your spot can be filled by another participant. No exceptions. Please contact us with any questions before registering. This class is currently full. To be added to a waiting list for this class, please email us at contact@armedmissouri.com. Those on the waiting list will be added only in the event that a registered participant cancels. 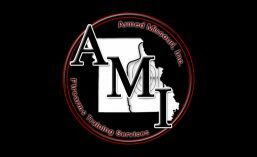 Course Details: Armed Missouri, Inc. is excited to be able to bring you a once-in-a-lifetime training opportunity with the most highly-regarded Extreme Close Quarters trainer in the world, Mr. Craig Douglas. The ShivWorks Extreme Close Quarter Concepts (ECQC) course is a two-and-a-half day (20 hours) block of instruction which focuses on a multi-disciplinary approach to building functional, combative handgun skills at zero to five feet. The course is designed to instill core concepts of seamless integration and provide the platform for aggressive problem solving during a life or death struggle. A heavy emphasis is placed upon commonality of body mechanics between skill sub-sets, which means that all combative software is reinforcing. Once the student’s skill sets are initially ingrained, the participant will be stress inoculated with force on force drills utilizing marking cartridges and protective equipment. Visit http://shivworks.com/ for more information. Special guest instructor Craig Douglas a.k.a. Southnarc. "This class isn’t something that came from a powerpoint. Half a day in and you understand that you’re dealing with something that was built from the ground up on a foundation of conviction. Everything you’re presented is something Craig has researched, experimented with, and ultimately tested in the most realistic manner he can invent before it ever gets put in front of you." Read more in this previous class review.